His message, delivered during a youth forum on the 2030 Sustainable Development Agenda was clear – in conversations about disability rights, people with disability need to be heard. His statement was a reminder, said UNICEF East Asia Pacific Regional Director Karin Hulshof, who was present at the forum during her visit to the country, of UNICEF’s mission to protect the most vulnerable children– not only the materially disadvantaged, but those marginalized on account of their gender, age, sexual orientation, HIV status, ethnicity, and ability. 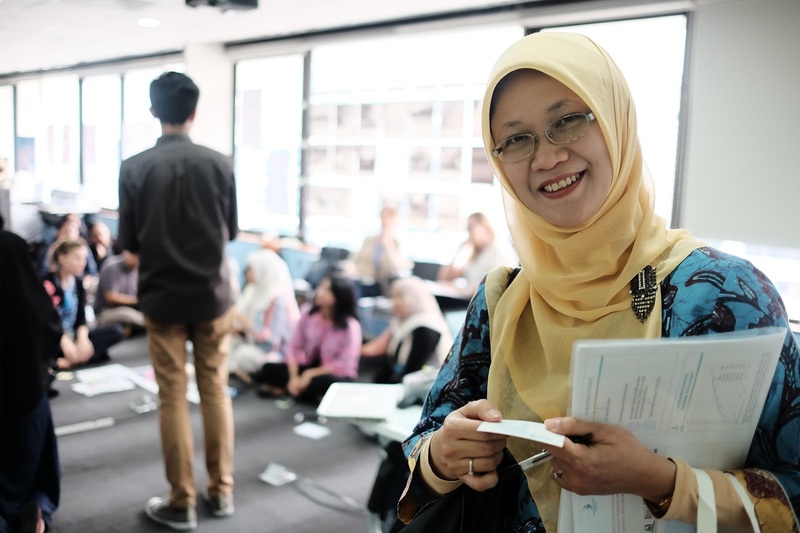 Although a philosophy of inclusive development underlies the vision of the 17 Sustainable Development Goals (SDGs)end poverty and improve wellbeing, among other objectives — many groups are left out of the conversation for how best to implement them. Among the most overlooked voices are those belonging to youth. 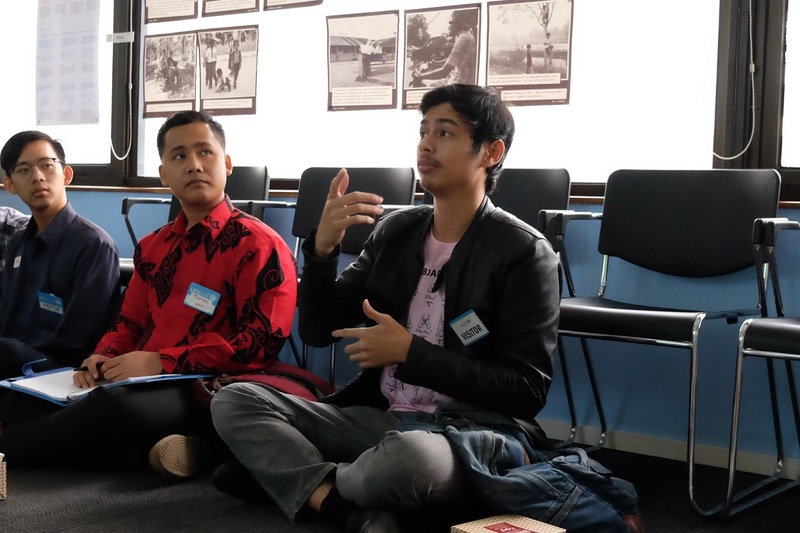 In the forum, entitled “Young People’s Consultation on the SDGs”, the Youth Network on Violence against Children (YNVAC) forged a partnership with 2030 Youth Force (YF), a youth group encourages young Jakartans to contribute to the SDG agenda. “In this forum we want to hear from young people on how they might assist implementation of the SDGs,” said Ravio Patra, a meeting facilitator. The 25 youth participants, representing youth organizations on education, health, economic, social and environmental issues, were selected from over 250 applicants. Regional Director Hulshof said persistence and a collaborative spirit were key.Three objectives were laid out in the meeting: one, to identify the most pressing issues for youth; two, to identify the most effective and efficient advocacy methods for addressing those challenges; and three, to identify concrete tools for empowering young people to tackle them. “[Protecting] the environment for example, is a pressing issue that needs to be tackled by all members of society, both civilians and government officials. We need to care for our environment, which is in line with the fulfilment of several SDGs targets,” she stated. 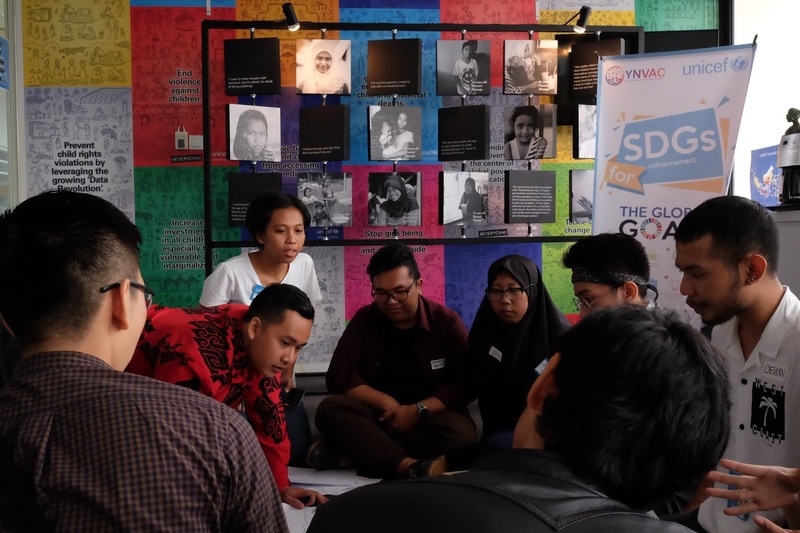 By the end of the day, the group of young people had distilled their aspirations down to three action points: First, they expressed the desire for Government to help youth groups conduct ‘reality checks’ and policy reviews regarding the SDGs. A ‘reality check’ invites young people to provide qualitative support in the field for data-backed findings. These are are then used to help the Government produce policy on SDG implementation. Second, the forum asked that the Government and UN agencies ramp up advocacy and allow them to assist in the formulation of SDG reports. Third, the forum expressed the hope that all relevant parties, including Government, UN agencies and NGOs, would provide capacity-building for network members to ensure that the forum led to real action. The recommendations were handed over to UNICEF, represented by Ms. Hulshof, and the Indonesian Government, represented by Ibu Lisa, who said the government was excited to lend its support. 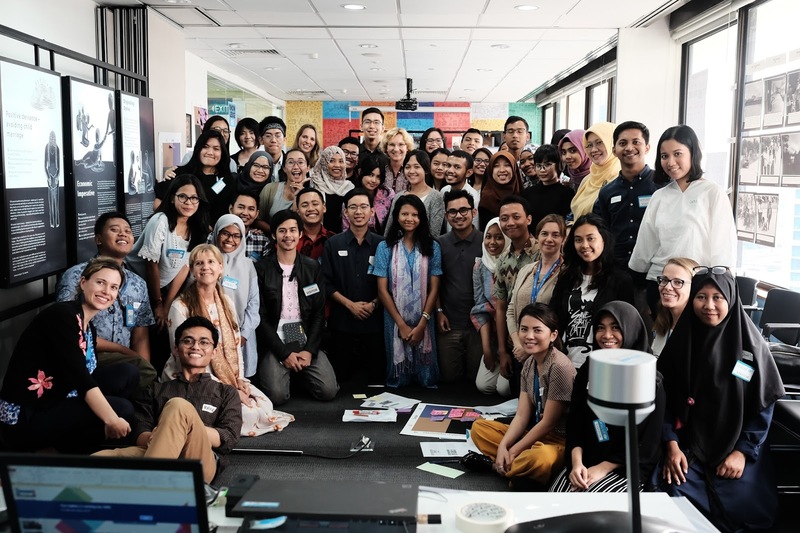 Ending the meeting, UNICEF Indonesia Representative Gunilla Olsson promised, “We will always open our door to determined agents of change by supporting the inclusion of young people in the implementation of the SDGs in Indonesia.” Two more forums on youth-driven SDG implementation, she said, would be held in the near future. Inspired, the 25 young people have already begun planning ways to play a bigger role in the SDG push.